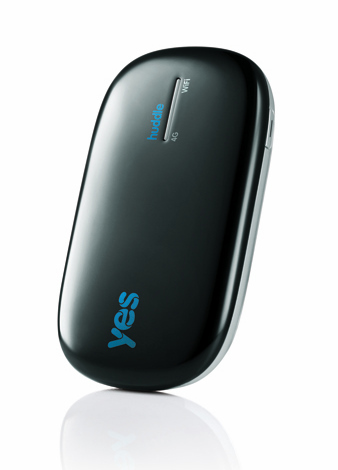 Yes 4G is upgrading its Yes Huddle firmware. How do you let it update it’s firmware? Just leave it on? And how do you know when it’d done updating it’s firmware? is it normal for the blinking to occur for few days? i can’t connect at all for this last few days..is it normal?? what should i do? It is normal when you are in a place that has no coverage from Yes 4G. I have never updated its firmware. Sorry I can’t help you. Hai, I put the Huddle to charge for a few hours and it usually turns GREEN to show that it’s fully charged. But now, I put it to charge for more than 8 hours and it is still RED. And I unplugged it, after a while, it shuts down when the battery is exhausted. Do you know what is the problem and how it can be fixed? Thanks. Thank you for visiting my blog. I am really sorry that I can’t help you about this issue. It could be your battery has reached its lifespan? Please do contact Yes Care for further clarification. My huddle is keep on blinking. I don’t now what to do. I read your post but I still cannot understand what I need to do. I’ll already let my huddle on for a few days but the result is still the same. Does anyone no what am I gonna do? Really need some advise regarding thia problem. Sorry for late reply. I was busy with my USM final exams. The red blinking is usually mismatched user ID and passwords between your Huddle and the server. Just go to 192.168.1.1 while connected to your Huddle. The password word to go into the admin page should be either admin and password should be admin also. That’s exactly what happened to me and that’s the solution. 🙂 Cheers! TQ VERY2 MUCH TO BOTH OF U! !been having the problem since yesterday and i was Google-ing up since to fix the problem and you guys did it!! i got this problem when i change my password but my huddle stil have red blinking even when i already on off and do so many things at http://192.168.1.1/. help me please. Same goes to me too. I change both of the password, butstill not working. My huddle still blinking red. But laptop is written connected But No connection. Battery are fully charge too. And the website of 192.168.1.1 I can’t even log in already. I Don’t know Why. Please help me. It seems that many people are having issues with their Yes 4G due to some network problem. I believe Yes 4G team is fixing the problem ASAP. Do check with Yes Careline and see if the issue is solved. There is a network issue with Yes 4G. Please check with Yes Careline whether it is fixed already or not. If not, your Yes Huddle will keep on blinking red. i had buy a huddle xs and for the first day i cannot connect to internet cuz 4G keep blinking in colour red and blue but others is on green.what must i do?? omg thank you so much , I was finding and googling so hard on how the hell to fix this issue , finally got it , thanks to Zyle and John for helping me , really appreciate it. bosan betul dengan yes ni. dah 3 minggu huddle berkelip merah. habis duit ja. nak guna tak boleh. Sorry for late reply. I was busy with my another blog, http://www.kayabuttertoast.com. Please check your setting. Go to your browser and go to 192.168.1.1. Type admin for both username and password if I don’t recall wrongly. Then, check whether your account name and password is correct or not. Hope this helps. Please check with Yes 4G about the coverage issue. Last I read in the Internet, there has been a network issue experienced by Yes 4G that affects many users. I believe the issue has been solved. Please check again. Sorry for late reply. I was busy with my another blog, http://www.kayabuttertoast.com. I believe your Yes Huddle XS has some issues. Do check with the Yes 4G staff that sold that to you. Maybe you need to exchange with a new one. How long it takes to get normal? I just changed my yes id password and the device reboot. But it’s still not working from afternoon the the night. how long does the huddle update take times? Remember to change your password also in the Yes Huddle by going to 192.168.1.1 so that your device can work. You need to solve it. Either you are in a place with no coverage or you have changed the password or tinker with the settings already. Go to 192.168.1.1 when you are connected to your Yes Huddle to check the settings especially the password and user id. I have not heard of white colour blinks. Please contact Yes Support for more info. Sorry that I can’t help. My huddle xs have weak signal problem, may U know what’s the problem with it ? There is nothing you can do, I guess. Either you factory reset it and check again. If not, go to the nearest Yes 4G Store and ask them to help you to diagnose the problem and fix it. Hopefully your unit is still under warranty. I always having problem with 4g line when my huddle near to unifi connection.. my huddle blinking red and blue rapily.. n of coz automatic my wifi olso not really working proper… huhu.. what should i do..?? Sorry for late reply. I concentrate a lot on http://www.kayabuttertoast.com that I didn’t update my blog here anymore. For your issue, do make sure that your computer/tablets/smartphone is connected to your Huddle. Then only type 192.168.1.1 in the browser. Maybe you want to minus the s in the https:… You can only change the settings of your Huddle when you are connected to your Huddle. If you connect to other WiFi network, then when you type 192.168.1.1, you are accessing the other network’s settings. Hope this helps. My yes huddle after restart also same.cannot use..can connect but cant use internet.got lock sign..
Hai… i want to know, tes broadband can be used if the area was not covered with 4g? For the issue of 4G signal blinking red rapidly, if you ever have updated/changed password in http://www.yes.my account, you will NEED to update in the Yes Huddle too (192.168.1.1) make sure the password are both same. Hope this helps! Nope. If Yes 4G is not covered in that area, you can’t use it. You need to go to 192.168.1.1 and if I am not mistaken, the username and password are the same. Type ‘admin’ and you will go in the settings of Yes Huddle. Make sure your Yes account ID and password are correct and you will be able to use it. Your Yes Huddle WiFi password and SSID might not be the same as your Yes account ID. Thank you so much! I am having the problem since yesterday. Thanks again! Next story MacBook Air refresh and Mac OS X Lion will come late next week? Previous story Samsung Galaxy Tab 10.1″ Rumored Price in Malaysia is RM2,100?